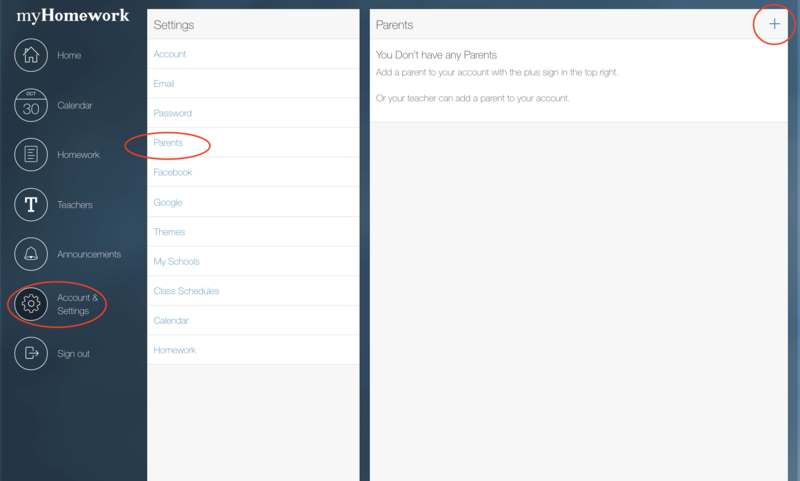 Guardian access is only available for premium school accounts. Have your child login to check if you should have guardian access. Visit myhomeworkapp.com/schools for more information on our premium school services. The parent has a unique role in supporting the overall success of their child in academic success. Without proper support at home, many students fail to prioritize their tasks and time according to their true goals. Science knows that time spent consuming screen based media negatively impacts the physical ability of the brain to plan ahead. It is more important than ever for parents to get involved with helping their children plan ahead and develop good habits with respect to how they choose to use their time than ever before. Support their nightly homework. Make sure your child has a prioritized list to accomplish and goes to a focused space for homework. Take away all the distractions. Did you know that listening to music with lyrics has been shown to be a similar level of distraction as watching tv? Routinely work through weekly or daily planning with your child. Talk out loud and try to ask questions that will help them see that they need to start working on items well in advance. Monitor their planner and help them think through strategies that might improve the effectiveness of their planning. 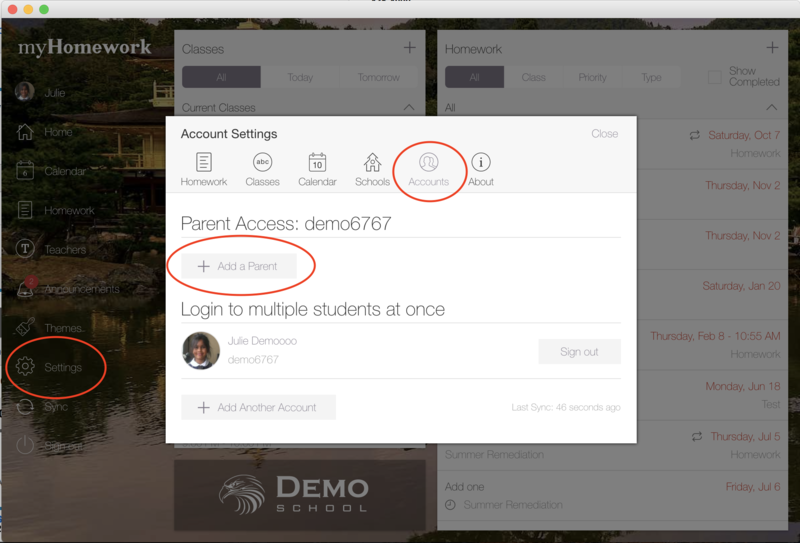 Have your child login to myhomeworkapp.com or the chromebook app and visit their settings page. From the guardians option, have them use the plus in the top right to add a new guardian. You will receive an email about the new guardian account that's been created. By default, guardians will be alerted via email each night if one of their child's planners needs attention. To adjust this preference, visit the Email settings within your guardian account. 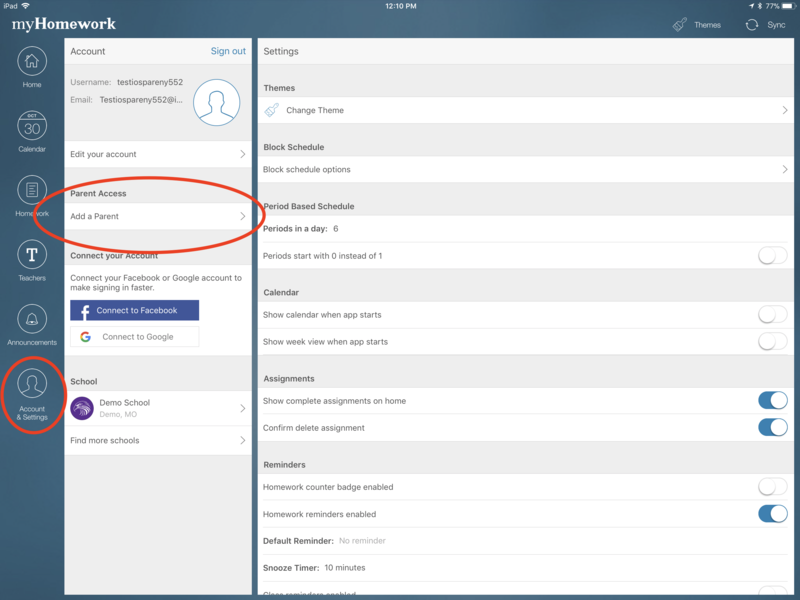 Find the .ics url for your students when you log in and visit https://myhomeworkapp.com/guardian-settings/calendar. Each student you have guardian access to has a calendar url that you can use to see their information in the calendar you already use. Subscribe to the calendar url available for the student. The student's information is available for common calendars like iCal, Outlook or Google Calendar to subscribe to. Watch the video below for a brief overview of parental access for partner schools.